Ahead of his scheduled appearance at SXSW 2017, electronic musician and producer SOHN ushers in the new year with his newest album. Though the London-born Christopher Taylor has spent most of his creative time since 2012 living in Vienna, he temporarily relocated to a house in sleepy Northern California to work on this second outing, ‘Rennen’. Interestingly, the topics he explores on this effort aren’t entirely escapist; instead, he faces his personal life and international politics head on. And in an unusual move, Taylor decided to take a less is more approach on this SOHN album, limiting himself to three elements going into each track. Given the popularity of ‘Tremors’, which contained the robust singles ‘Bloodflows’ and ‘Artifice’, any follow-up would be difficult. But the time away seems to have done SOHN’s new music a world of good. The influence of his co-writing and production work for other, more pop-centric artists, from Rihanna to Disclosure, have seeped into ‘Rennen’. This provides surprisingly wonderful moments on the album that might otherwise not happened. Changes in Taylor’s personal life since his debut – including falling in love, getting married and learning he will become a father – also affected the content of the new album, providing a unique window into the artist’s psyche during this snapshot in time. ‘Rennen’ begins with the bluesy ‘Hard Liquor’, a darkly appealing track with a clear r&b bent, quickly followed by two already revealed songs. The repeated lyrics in ‘Conrad’ – “I can feel it coming, we can never go back” – could sum up well our collective sorrows of 2016, but Taylor meant to point specifically to Europe’s uncertain future and shaky political climate, no doubt to include the passage of Brexit. The use of empty bottles and kitchen utensils for percussion adds to the scrappy desperate feel despite the song’s undeniable pop sensibility. ‘Signal’ debuted with a music video directed by and starring Hollywood starlet Milla Jovavich. The single itself sees Taylor return to what we formerly knew as the SOHN sound: less pop and more experimental, with intriguing synth note and vocal compression and a bare yet oddly soulful drumbeat. ‘Proof’ is another great example of this. 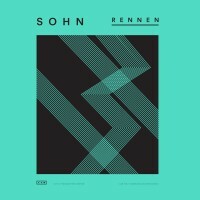 The rest of SOHN’s ‘Rennen’ will delight electro heads but will also fascinate open-minded pop fans with plenty of interesting bits in a post-Bowie/Prince world. The synth chords on ‘Dead Wrong’ are borderline ominous, but accompanied by Taylor’s r&b vocal and rhythm, you can imagine it’d be something Michael Jackson might have come up with if he was still alive today. On ‘Primary’, Taylor revisits politics, specifically the start of the 2016 U.S. presidential election campaign: “nobody seems able to really change / I can’t believe we’re not better / I thought we were past this”. The bright, percussion-led ‘Falling’ mirrors the intoxicating adrenalin rush of love with its upbeat tempo. Is it too much to wish for him to finally record in daylight and be totally happy on album #3? Ha. On the starkly bare title track ‘Rennen’, Taylor’s double-tracked vocals and at times falsetto are beautiful. Maybe we should leave him to follow his muse. An electronic producer has, pretty much, infinite options at his fingertips when he sets his mind on making music. In challenging himself to do more with less, Taylor proves without a doubt through his vocal and songwriting abilities on ‘Rennen’ that he shines in a relatively minimalist environment. An incredible achievement. ‘Rennen’, the second album from SOHN, will be out this Friday, the 13th of January 2017, on 4AD. Prior to his scheduled appearance at SXSW 2017, he will embark on a European tour in early February, culminating in a show at London Electric Brixton on the 1st of March. For more coverage of SOHN on TGTF, go here.